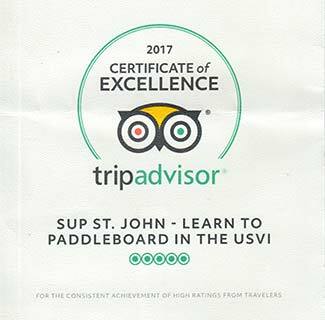 Allround boards are the standard choice boards for beginners and paddlers who have only paddled a few times and just want to leisurely cruise along the shore, they are super wide and stable and really easy to paddle, you can also take one or two kids in the front and back if you want. They come in 10.6, 11.0 and 11.6. We have boards with no deck pad but a sanded grip deck (lighter & faster), boards with deck pad (comfortable when you go on your knees) and boards with a soft cover all around (good for kids and family fun and novice paddlers, the soft cover will soften the impact in case you fall onto the board or get hit by a board). This board has no rubber deck which makes it a bit lighter, which the ladies like. 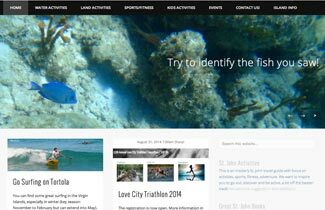 We have attached a luggage net to it, so you can take a dry bag or snorkeling gear. The 11.6 is suited for medium to heavy riders. This board has no rubber deck which makes it a bit lighter, which the ladies like. We have attached a luggage net to it, so you can take a dry bag or snorkeling gear. The 10.6 is suited for lighter to medium riders. 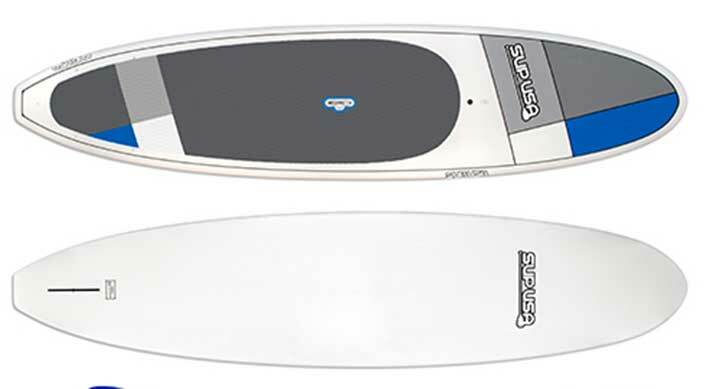 These SUPUSA / SUPATX boards have a bit less width and thickness/volume vs. the Fanatics and are thus lighter, faster good for sporty beginners and average riders. 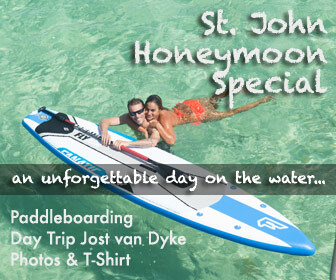 great board for the whole family if you are a sporty beginner or have paddled a little before. A bit faster and lighter then the Fanatic ones (the nose and tail is a bit more pointed). It has a deck pad over the full length so it is also good for taking kids in front and back. It also features rail protectors on the sides if you paddle in places where there are some rocks this is better. very similiar to the Adventure Premium. Key difference is it has no rail protector and the deck pad does not go over the full length, which makes it a bit lighter. this board is built to last; made with 1.5lb EPS Foam Cores then wrapped with Epoxy and Fiberglass and then has an ABS plastic shell wrapped around it. Different from the other boards that are all pretty fragile, this one is almost indestructible. 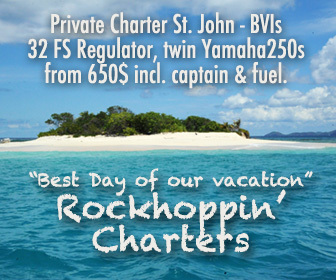 It is a the board of choice if you are renting a villa with a bit of a rocky water entrance (like Virinian Garden or Beach Villa in Great Cruz Bay) or if you just want your teenagers to play around with the board unattended without having to worry about dings. If you are looking for something sportier, the Falcon Air Inflatable Raceboard also is great for rocky places. 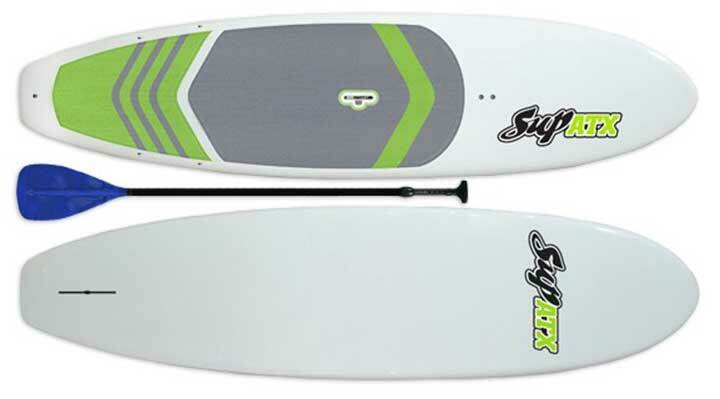 these boards are 31″ wide vs. the Fanatic 33″ and SUP ATX 32 and 4.5″/5.0″. 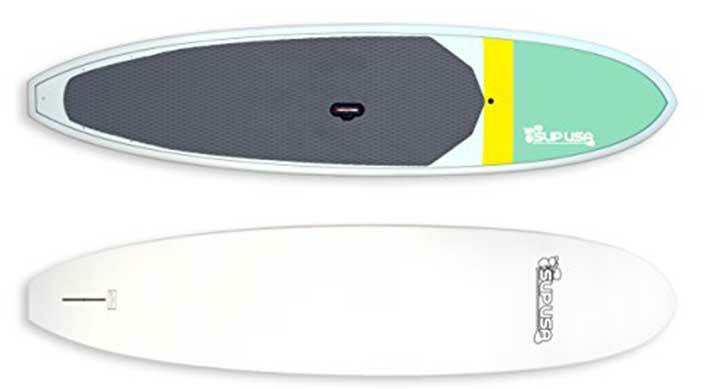 They will feel a little tippier for first time riders and heavier paddlers, people who have paddled before usually love these boards as they are faster and lighter. 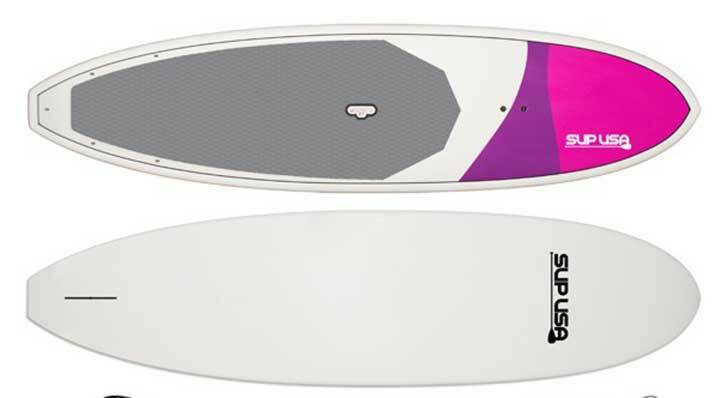 This is the board for sporty ladies or teenagers who want a board that is a bit more sporty but are not ready to switch to carbon raceboard yet.